“‘Is she going to die? 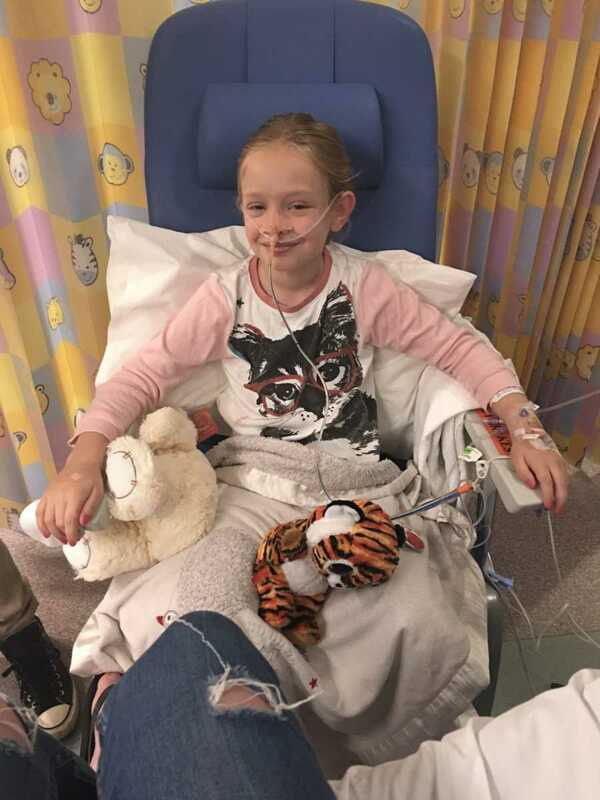 Is she going to be ok?’ I wailed hysterically to the nurse who had whisked me away from my 8-year-old daughter’s intensive care bed a few minutes before. She paused for the longest 30 seconds in existence. ‘I hope so,’ she eventually said as she rubbed my back gently. I started to see spots and my lips started to go numb. I was going into shock. ‘I feel lightheaded,’ I whispered to her in between sobs. She quickly got me some water and put my feet onto the table in front of us. ‘Just take some slow deep breaths,’ she said soothingly. I took her advice and the spots started to diminish and I started to feel ok again. Well, as ok as you can feel when you’re not sure if your daughter is alive or dead in the next room. We wouldn’t find out for half an hour. So I went home and crawled into bed. She was also fine the next day and being the last day of school she was desperate to go and squeal and jump around with her friends to say goodbye, or whatever 8-year-old girls do these days, so I sent her. I stayed home from work as I was still really ill, I was pretty sure I had the flu as I’d started to get temperatures and body aches and all I wanted to do was curl up in a ball and sleep forever, so I wasn’t really paying too much attention to Bailee as I was pretty focused on my own misery. She honestly seemed like she only had a mild cold. At about 4 p.m. she got up and went to the bathroom and vomited absolutely everywhere. The walls, the floor, everywhere but the toilet and she came out crying. ‘It’s ok babe, go and hop in the shower, you’ll get clean and the steam will help you breathe as well,’ I said as I went to get the disinfectant. By this time I’d decided to take her to emergency room as she just kept deteriorating and I was getting really worried about her chest hurting so much and her breathing so fast and shallow. My husband had stopped into work for a couple of hours so I had to wait until he got home so he could take care of the other girls. ‘I guess I’ll pack a bag just in case we have to stay overnight, but she’ll probably just need some fluids to rehydrate her and we’ll be home later,’ I told him before we left. ‘Sure babe, I’m sure you won’t have to stay,’ he replied. We got to the emergency room and they did some observations on her. ‘I don’t think that’s accurate,’ the nurse said as she looked at the oxygen saturation, which was sitting at 75%, ‘she would be blue and in distress if her oxygen was that low.’ She tried a few different probes on a few different places on her body, at one point trying to place it inside her cheek, but they all read the same. 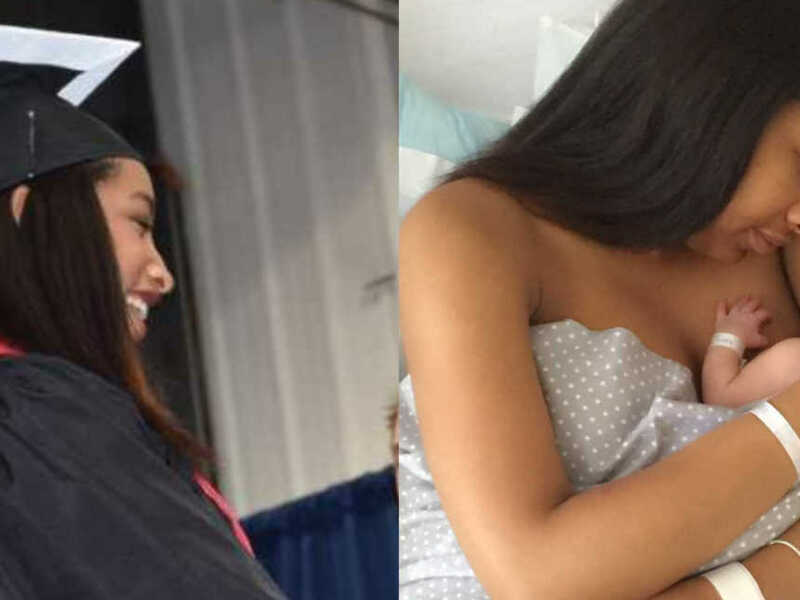 My baby was severely deprived of oxygen and I had no idea. 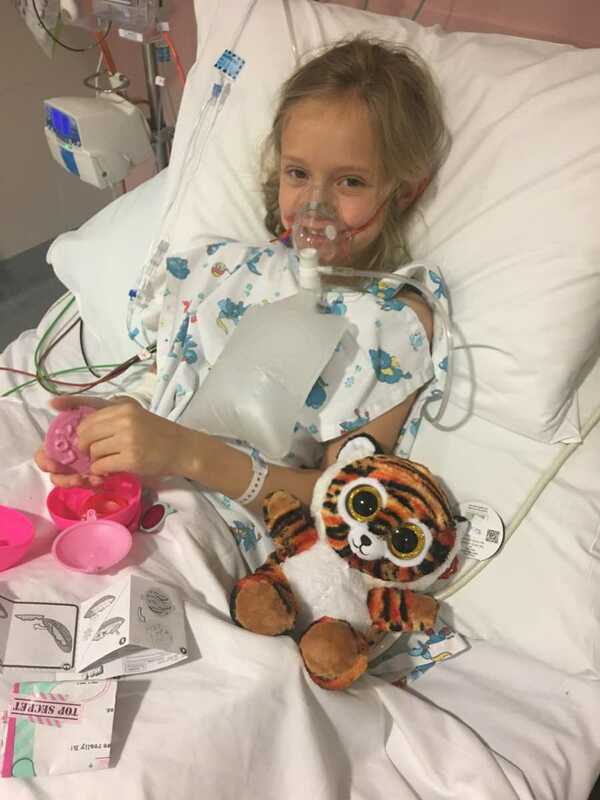 They put a non-rebreather oxygen mask on her, gave her some Ventolin and called the pediatrician to come and have a look at her, take some blood and do a chest X-ray. The doctors all said that it doesn’t make sense, the numbers don’t match up to what she looks like. Even with the mask on pumping 15 litres of oxygen into her per minute, she was only saturating at around 85-90% (normal is between 95-100% on room air). We were put into the close observation room in the pediatric ward and she was monitored very closely all night. 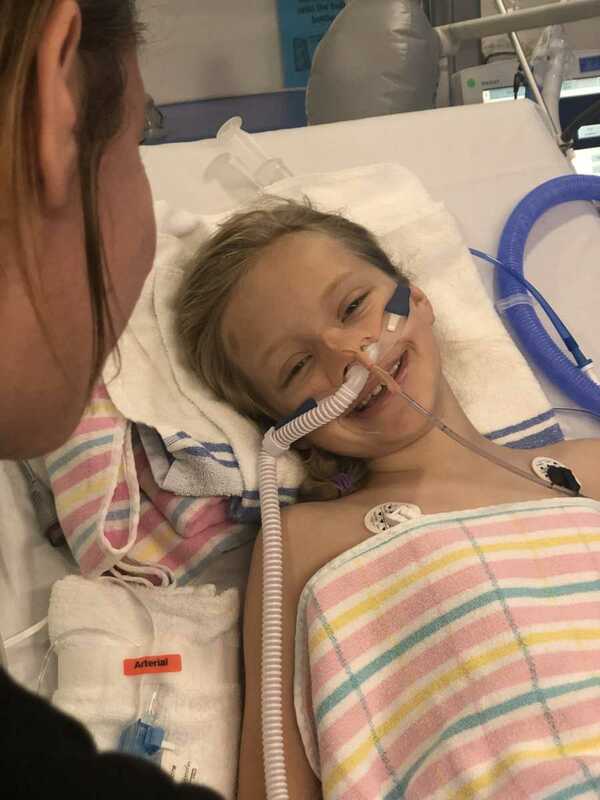 In the morning they came in and did another chest X-ray which showed that the bottom areas of both of her lungs were in the process of collapsing and there were signs of some ‘consolidation’ or pneumonia in both lungs as well. ‘She’s tested negative to pneumococcus but positive to rhinovirus,’ the doctors told me. ‘But isn’t that the common cold?,’ I asked confused, ‘how could the common cold get this bad? She’s normally my healthiest kid. 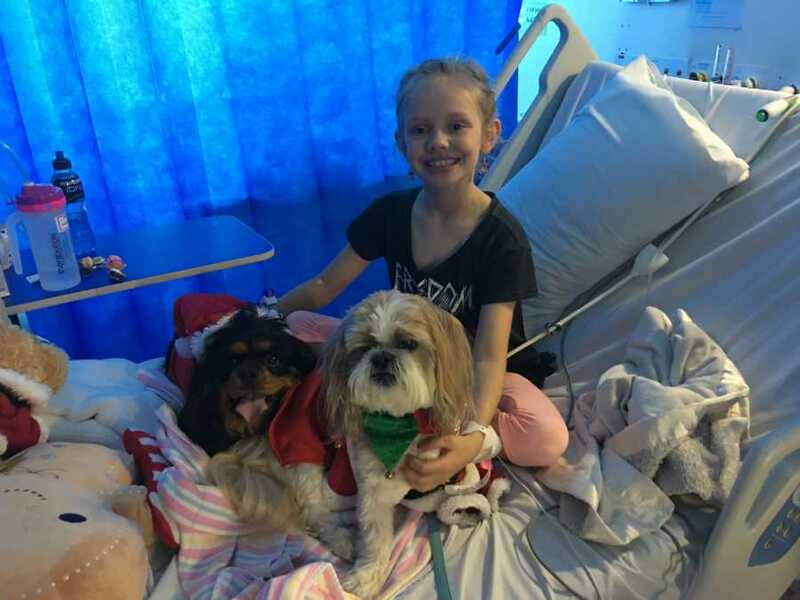 She has no asthma and no other health conditions whatsoever.’ ‘Sometimes we just don’t know the cause of why it gets so bad, but kids tend to get sick really quickly and dramatically and then bounce back really quickly as well, we’ll keep digging to try and find the cause,’ the doctor told me. By Thursday night, she was showing signs of getting better. 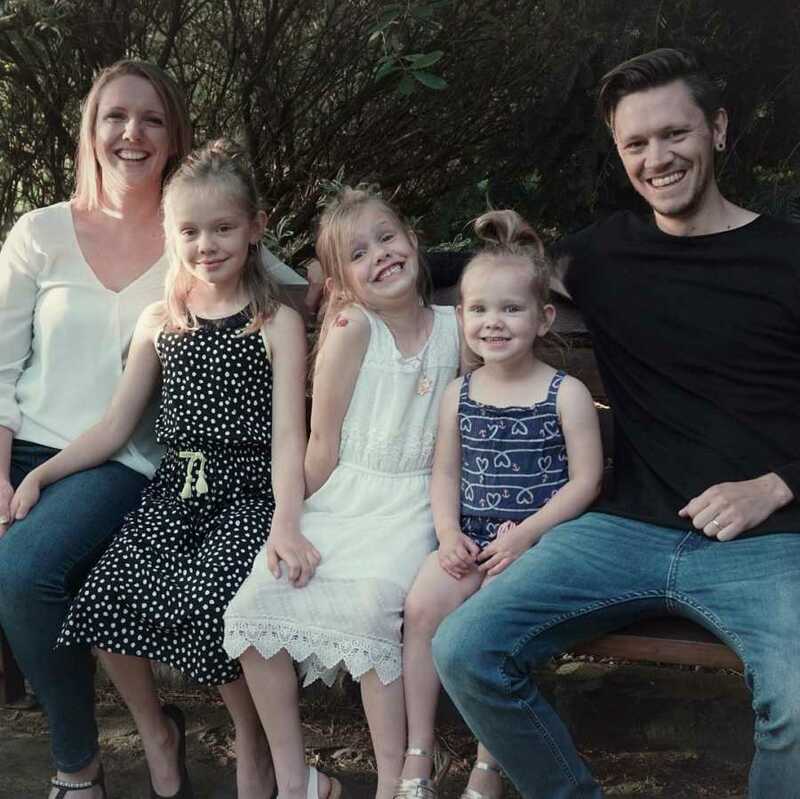 She’d been put on a Fentanyl Patient Controlled Analgesia (PCA) machine to control the pain in her chest to try and encourage her to take deeper breaths to reinflate her lungs and she had a visit from some family which picked up her spirits a lot. To the point that they were all asking me, ‘are you sure she’s sick?’ She still needed the oxygen to maintain her saturation levels but she was brighter and talking and eating and we all thought she’d turned a corner and was going to get better. She had a great night with her oxygen reaching 100% sometimes overnight and I was making plans to get out of there sooner rather than later. Friday came and Bailee was doing much better. Her chest wasn’t hurting as much when she woke up and the nurses were talking about starting to wean her off her oxygen to try and get us home, hopefully by Monday. She hadn’t been keeping any food or liquid down until this point, but she was starting to tolerate sips of water and bites of muffin that I’d bought for her. 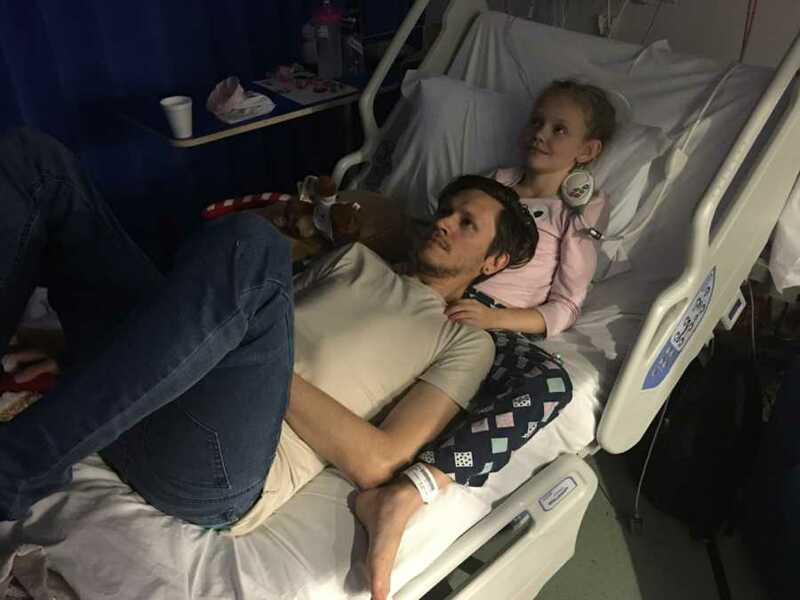 About midday, however, she had a massive vomit which they told me dislodged some of the gunk in her chest, plugged her airways and made the bottom part of her lungs collapse entirely because she started to decline so quickly after that. They couldn’t keep her oxygen levels over 85% with a huge amount of oxygen getting pumped into her and she was vomiting and started to get quite distressed. 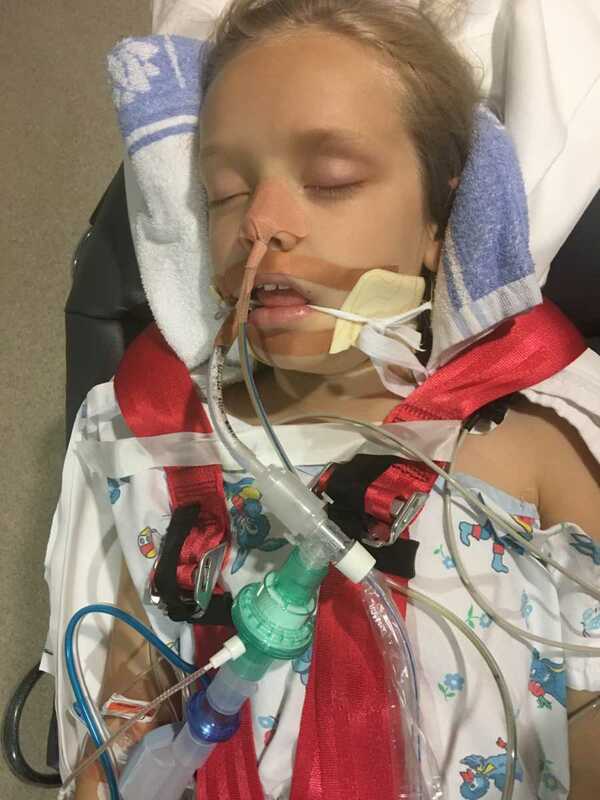 They made the decision to move us to the Intensive Care Unit to see if she could tolerate having a CPAP machine put on to try and force her lungs to inflate and get some more oxygen into her. She did NOT cope with this at all and by this point she was starting to turn blue around her lips and fingernails. This all happened very, very quickly so it’s still a blur to me, but I remember the feeling of terror and helplessness of her deteriorating right in front of me; her looking at me with so much fear in her eyes at what was happening to her. I can see it when I close my eyes, her face with the wide, terrified eyes and the CPAP mask over her face trying to rip it off because it made her feel as though she was suffocating. ‘Just let them help you baby, the mask will make you feel better, just try to relax,’ I was pleading with her over and over, but she was panicking at this point and couldn’t register what I was saying. After about a minute of this they decided to take it off and try some Hi-Flow nasal prongs, pumping 28 litres of oxygen straight up her nose which she said felt like it was burning. We traveled to Sydney in an ambulance that night. The weather was bad so we had to drive rather than be helicoptered there, which meant the driver had to be very smooth and slow as she was in a medically-induced coma and was unstable, and the road is quite windy through the mountain range. We arrived at the Sydney Children’s Hospital, Randwick at about 3 a.m. on Saturday morning. I had traveled in the ambulance with Bailee and my husband had gone home to get some sleep and he was traveling down Saturday morning. The doctors and nurses at the Children’s Intensive Care Unit took control straight away and I was amazed at their calmness and complete knowledge of her situation. Once they got her settled in her bay (she was still in a medically-induced coma and fully ventilated) I went and tried to get some sleep as I was completely wrecked and strung out emotionally and physically. The next morning I came down to see where she was up to and they were preparing to take her off the ventilator to see whether she could breathe on her own. They had weaned her overnight to the point where she was now breathing on her own, the machine wasn’t forcing her to breathe anymore but it was still required to oxygenate her a lot more than just masks could. 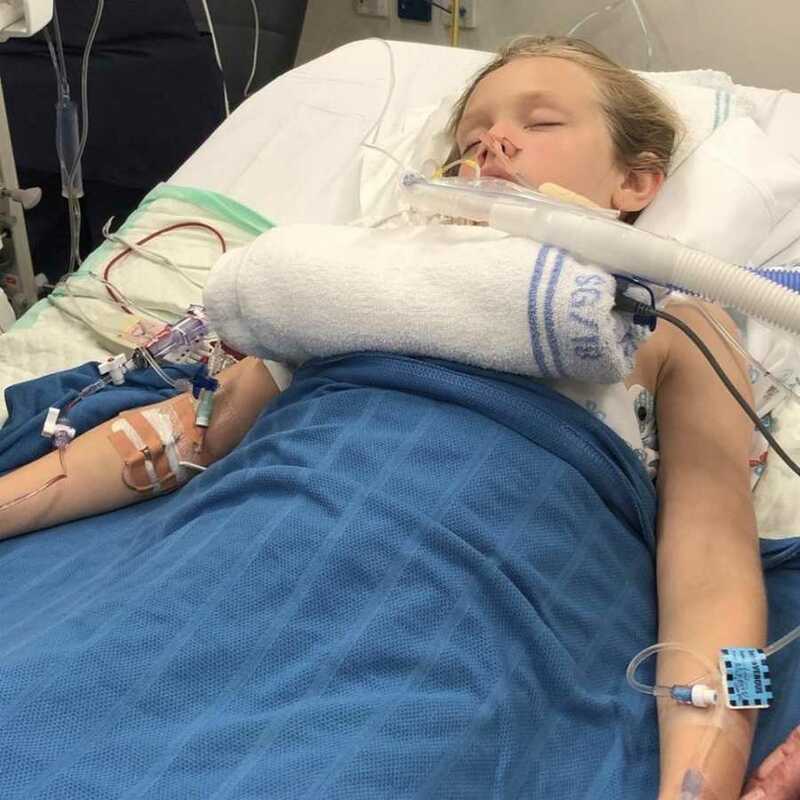 Just as they were about to take the tube out, they did one last check and they noticed that another area of her lungs had collapsed, so they postponed extubating her until it had had a chance to reinflate again. They did another X-ray of her chest and when they showed me, her lungs were completely white with a tiny black area at the top. Air space is black, pneumonia is white. Her lungs were completely consolidated and there was significant collapse in multiple areas of both of her lungs. Her lungs were a mess. ‘She’s going to be ok though, she’s on the mend,’ the nurses kept telling me, ‘it might just take a bit to get her back on her feet, we’ll just take it slow.’ She had a nurse that was just hers round the clock and the doctors in the CICU were very attentive and knowledgeable, noticing every little change in her stats on the monitors. She had so many lines, IV’s tubes and wires coming off her, she looked so small surrounded by all the machines that were keeping her alive and it made me realize how precious our life is and how quickly it can be snatched away from us. It’s cliché I know but coming that close to losing a child where her life and breath was completely controlled by other people and those machines, and there was nothing I could do to help her, was really terrifying for a control-freak mother. We had sent the word out via Facebook to pray for our girl and she had thousands of people around the world praying for her healing and miracles to be done in her body. I have no doubt that that’s why she is with us today. 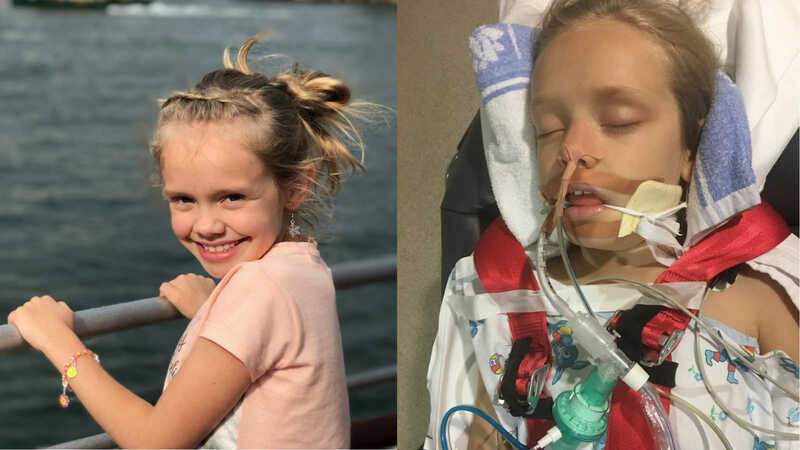 She continued to show improvement, so they made the decision to extubate her and switch the ventilator off about 4 p.m. on Saturday, 24 hours after we nearly lost her. She woke up groggy and heavily drugged, but she smiled this smile that was the most beautiful thing I’ve ever seen. 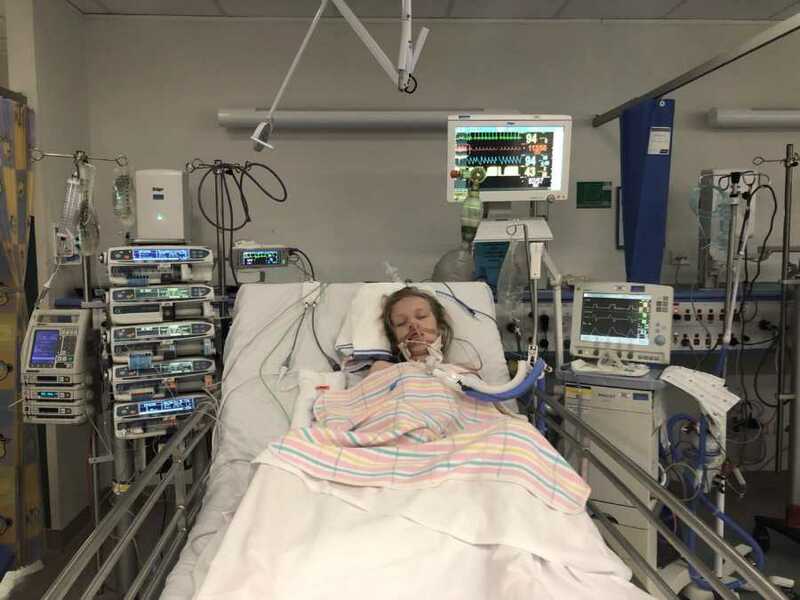 She still had a long way to go, but she continued to go up from there, gradually getting her tubes out, reducing her oxygen requirement and getting the drugs that had her unconscious for 24 hours out of her system. She started getting up and walking. That first time she stood up, she was so proud of herself that she began marching on the spot and reached over and gave me a big hug, which of course made me cry. She did amazing with all of her physio she had to do and fought so hard to get back on her feet. We were discharged from the ICU on Wednesday (1 week after she came into the emergency department) and we were discharged from the hospital on Friday – 4 days before Christmas and exactly 7 days since she almost died. 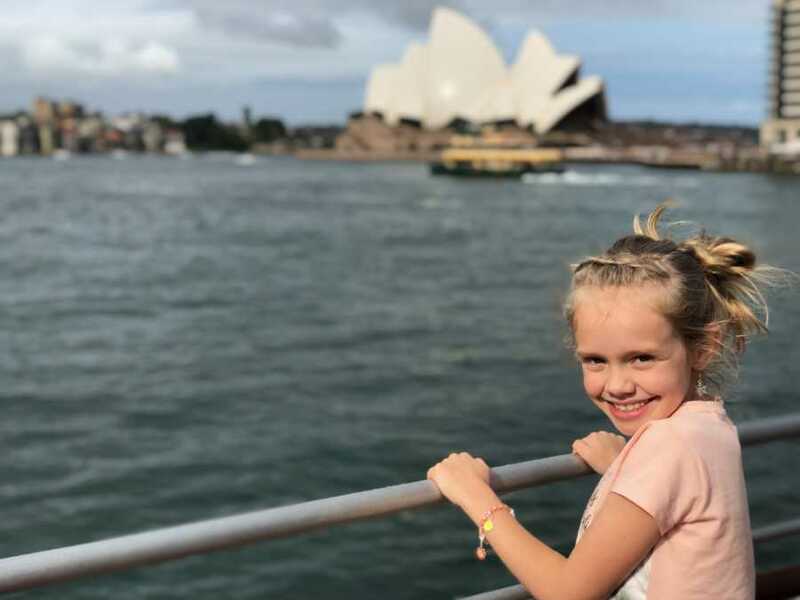 I can’t thank the staff in the Children’s ICU in Sydney and the staff at Orange Base Hospital enough for saving my girl’s life. They always did what they had to do to help her but always kept me 100% informed of what was happening and valued my opinion and insight into her condition. 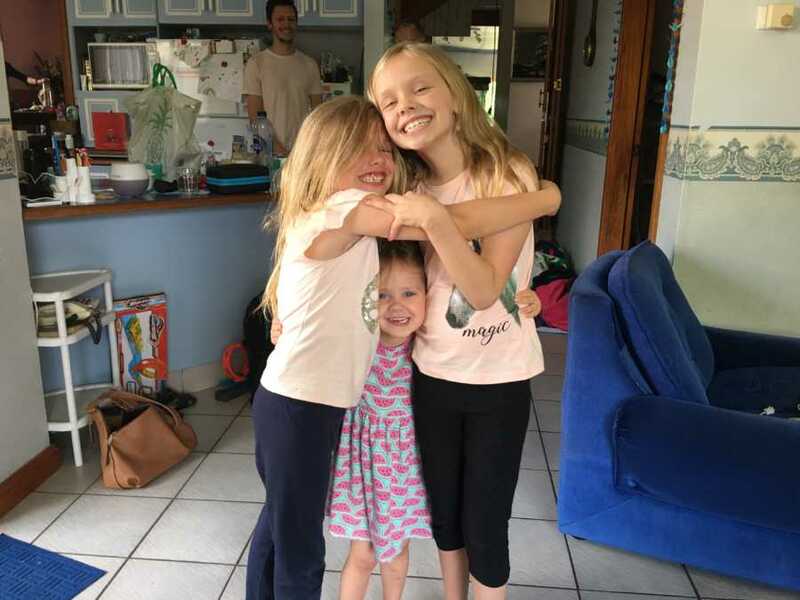 We still don’t know what caused her huge, rapid decline so they will be doing some investigations and tests to find out as they don’t like having children’s illnesses – especially such a severe and almost fatal one – be a mystery. Bailee is mostly back to her normal self, bouncing off the walls and annoying her little sisters. It’s beautiful. My husband was 100% my rock during this whole ordeal. I barely left her bedside and I was physically, mentally and emotionally wrecked. I barely slept for 10 days straight and when I did it was on uncomfortable fold out couches next to her bed. Craig helped me keep my sense of humor and kept me laughing in the face of our trauma and I’m so grateful for him, we make an awesome team.